OneDrive beats rivals on pricing, but remains far behind on photo features. Even without unlimited storage, Microsoft’s OneDrive remains one of the best deals in cloud storage. At $70 annually, the company’s 1TB plan is far cheaper than rival plans from Google and Apple. It even includes an Office 365 Personal subscription for good measure. Unfortunately, OneDrive’s photo management features can’t keep up with Google Photos and Apple iCloud Photo Library, even after a recent update for Windows 10 users. That makes OneDrive hard to justify for any reason besides price. I should know; for more than a year, I’ve used OneDrive in tandem with Google Photos for cloud storage, and I always gravitate towards the latter to look through old images. The new Microsoft is supposed to be all about cross-platform cloud services powered by machine learning, and photo storage would be the perfect consumer application for that vision. So it’s all the more surprising that Microsoft remains behind its competitors. 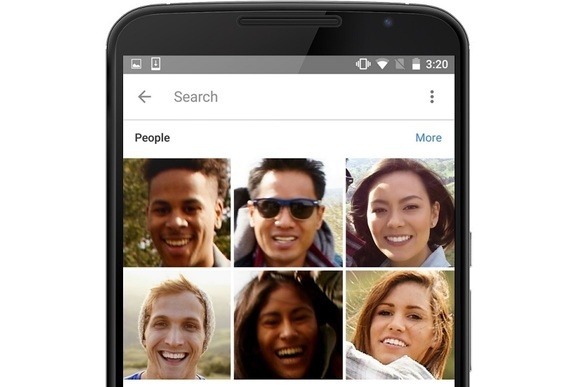 Sure, Google’s ability to categorize photos by face is kind of creepy. But it’s also a game-changer that makes all other photo libraries seem obsolete. With no manual tagging required, Google Photos lets you look up photos of your kids or your friends, and scroll back through a lifetime of pictures—sometimes stretching all the way back to birth. The facial recognition happens automatically, and if you decide to add a name, Google keeps those labels private. 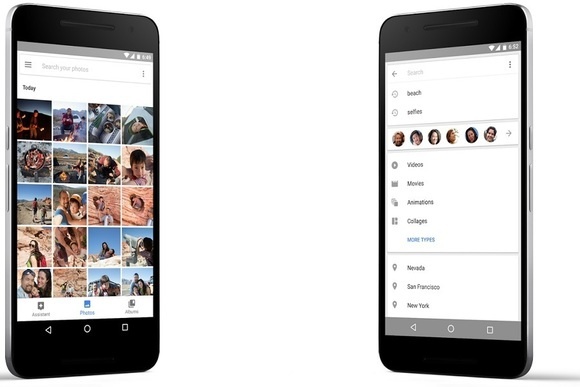 Google Photos lets you browse photos by face. Microsoft has some impressive facial recognition technology under its belt. The company’s Face API, can detect facial features and identify people from previous images, while the Emotion API can understand people’s expressions. And yet, Microsoft hasn’t bothered to bring those features to OneDrive. But in practice, OneDrive’s smart search isn’t as useful as that of Google Photos. Search terms for specific objects tend not to deliver anywhere near the same number of results, and there’s no easy way to filter for videos only, like Google can. (Searching for “video” only seems to deliver partial results.) Microsoft has the right ideas on image search, but can’t manage to execute. Google Photos can search for places and objects, and filter by media type. Compared to OneDrive’s menus and loading times, both Google Photos and Apple’s iCloud do a better job of making cloud photos easier to access. Apple, for instance, can automatically download iCloud photos to all of your devices. If you’d rather not use up all that space, there’s an “optimize” setting that stores lower-quality versions locally, while maintaining full-resolution versions in the cloud. That way, you can quickly get to your most-viewed photos without waiting for the files to download. Google Photos, meanwhile, performs some kind of black magic that loads image thumbnails near-instantaneously as you scroll through. The result is that you rarely think about whether an image has downloaded or not. And if you run out of space with the photos on your phone, Google offers a bulk-delete option for everything it’s backed up already. Although OneDrive includes some basic album collaboration features, Microsoft’s rivals make sharing more enjoyable. Both iCloud Photo Library and Google Photos support comments on their shared photos and albums. Apple’s sharing function also includes an activity feed, so you can easily look back at who did what. 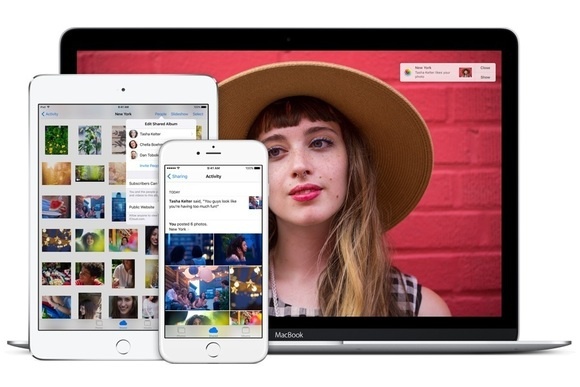 Apple’s shared albums in iCloud includes comments and an activity feed. Google goes a step further by letting you add shared photos and albums to your main library view, so there’s no barrier between shared and non-shared photos. That way, you don’t have to download and re-upload the shared photos you want to keep. In Windows 10, Microsoft offers a dedicated Photos app that taps into OneDrive. But on iOS and Android, all photo activity has to go through the main OneDrive app. While it’s nice to have a single app for all cloud-related needs, a separate Photos app has its own advantages. 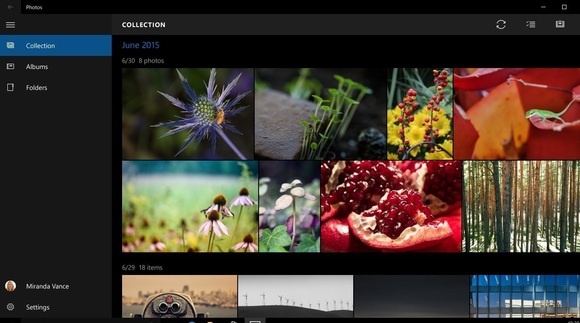 Microsoft’s dedicated Photos app is only available on Windows 10. Besides, having a dedicated photos app is simpler to access when photos are all you care about. You don’t have to deal with extra menu clutter, or wade through other documents while searching. Microsoft clearly isn’t opposed to a photos app, given that one exists for Windows 10. But for now, Photos is an exception to Microsoft’s newfound interest in cross-platform development. Why do I still bother with OneDrive after all this grousing? Quite simply, at $70 per year for 1TB of storage, it’s the cheapest way to sync full-resolution photos to my PC (which in turn backs up to another hard drive on the local network). Paid offerings from Google and Apple are much pricier at $120 per year. And while Amazon Cloud Drive photo storage is also cheap, at $12 per year or free with Amazon Prime, it doesn’t offer desktop sync, and I don’t trust the cloud as my only option for backups. Perhaps Microsoft will offer the complete package someday. But for now, I’m stuck using OneDrive for archival chores, and Google Photos to actually enjoy the photos I’ve taken.